We’re always on the hunt for PR genius. I found inspiration during a recent trip to South Africa, where selling wine took on a whole new meaning. 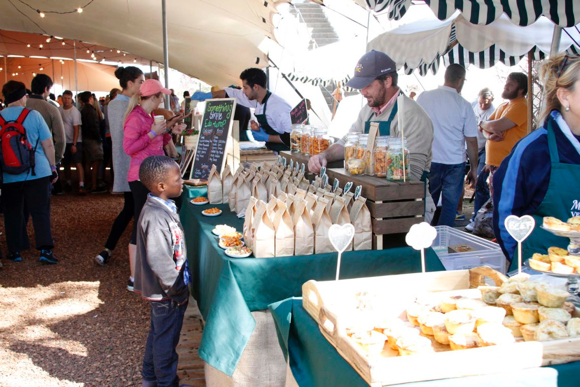 The country is breathtaking, especially its Cape Winelands region, located about a half hour northeast of Cape Town. Near the town of Stellenbosch, we visited the Vergenoegd Wine Estate, one of more than 500 ‘temples to the grape’ in the heart of this lush region. A little piece of heaven near Stellenbosch. Pronouncing the word is a challenge. Understanding Pieter de Vos’ passion is not. 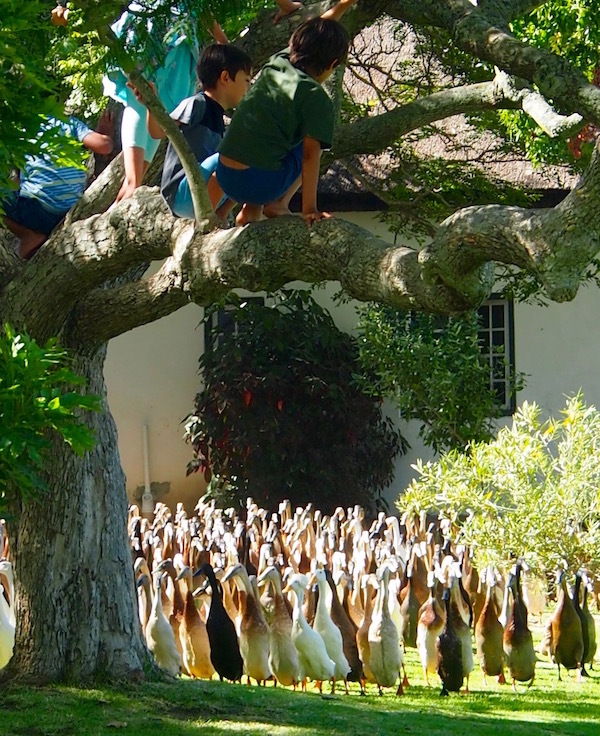 In 1984, the vineyard bought large flock of Indian Runner ducks and geese under Master Breeder John Faure. Faure’s a descendant of Johhannes Gysbertus Faure, who purchased the estate in 1820. Yep, they’re trained to do this. Why ducks and geese? They beat pesticides for eating bugs and grubs that threaten the winery’s precious harvest. 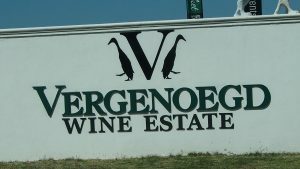 And as it turns out, the noisy, hungry birds are a powerful brand that differentiates Vergenoegd from its wine producing neighbors. Here’s what Vergenoegd Wine Estate is doing right, and what we can learn from how they attract foreign tourists, local wine connoisseurs and families. Honor your wine heritage. Bring it into to the here and now. The vineyard’s new owners —International Ventures and Investment Activities, or LIVIA — saw a marketing gem. The wine estate’s web site continues to honor its Dutch, Lutheran and French Huguenot heritage. 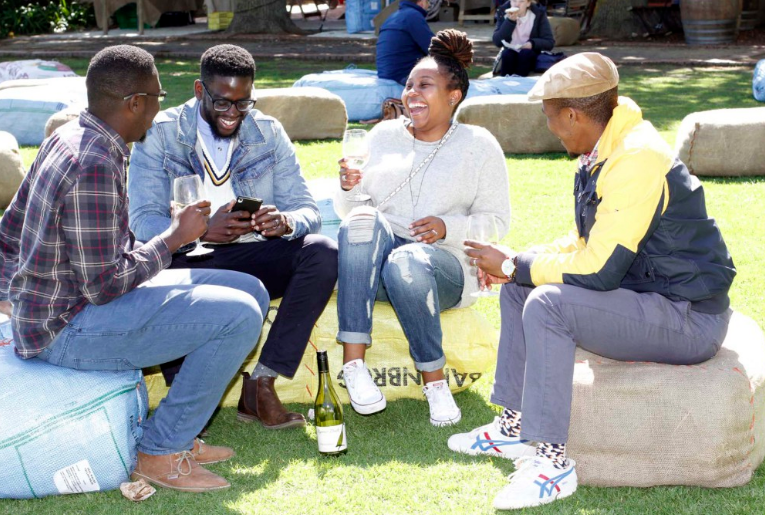 Taking steps to right the injustices of South Africa’s apartheid era, the wine estate has recruited young, enthusiastic managers and employees of many races and cultures. Black customers who were, only 22 years ago, prohibited from enjoying the fruits of their labor, now enjoy premium wine in the company of their white peers. Honor your core. Then broaden your appeal. Who usually does vineyard tours? Wine enthusiasts, of course. 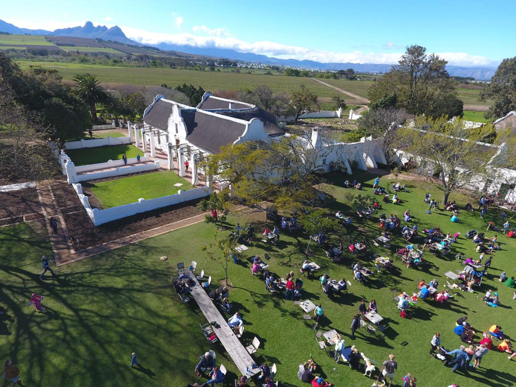 Vergenoegd caters to ‘wine snobs’ with a members-only 1696 Wine Club, including priority access to top vintages and private tastings. Not interested in wine? Vergenoegd’s got that covered. They have olive oil, coffee and tea-blending events and a fantastic farmer’s and artisan foods market every Saturday. 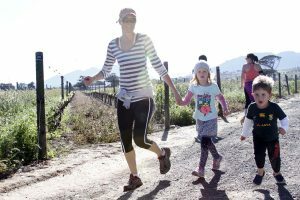 Most vineyard tours discourage families: there’s nothing for the kids to do while their elders sample vino. Vergenoegd broke the mold. It has family-friendly breakfasts, lunches and dinners. It sponsors a family run through the vineyard every Saturday morning. It actively cares about its employees and community (read on). Play well in your community’s sandbox. 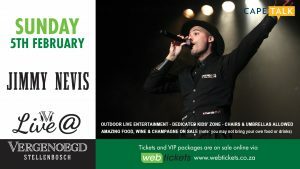 Vergenoegd supports South Africa’s top artists with its Live@Vergenoegd summer concert series between November and April. The vineyard takes special care to schedule these around events at neighboring vineyards. 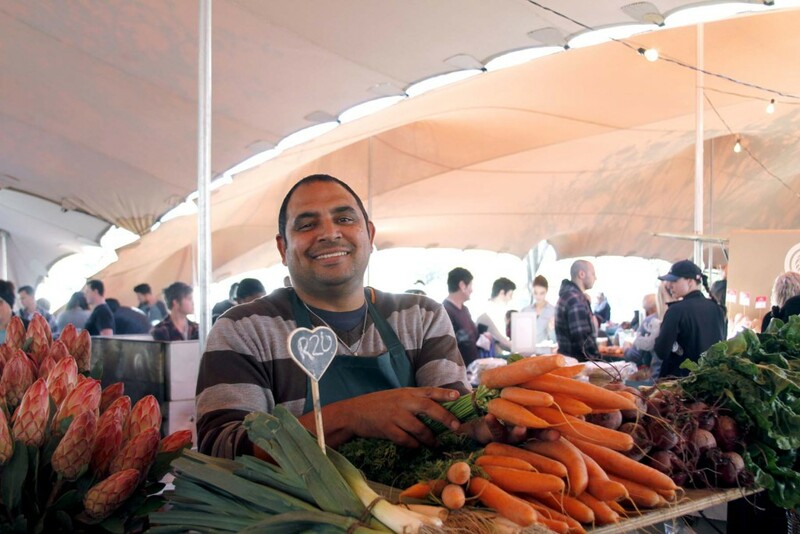 Most members of the farming communities around Vergenoegd descend from slaves. Families struggle to overcome a legacy of alcoholism created through now-outlawed wine industry policies that paid vineyard workers in wine, not Rands, before and during apartheid. 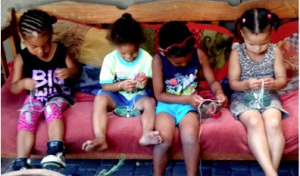 Understanding the social and economic challenges their neighbors still face, Vergenoegd established the First River Fun Club, a donation-based community development program that exposes children to new aspects of life and helps them aspire to new possibilities within a nurturing environment that includes meals, arts, crafts, nature, sports, dance, outings, music and history. Turn sustainability into wildly successful eco-tourism: Get ducky! 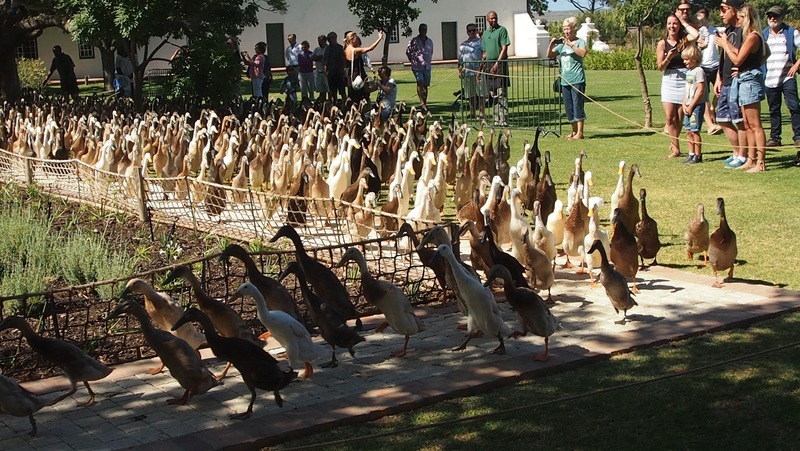 Vergenoegd’s 1,000+ pest-chomping geese and Indian Runner ducks are its signature branding jewel. 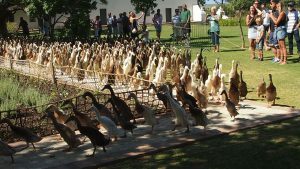 Every day at 9:45 a.m., 12:30 p.m. and 3:30 p.m., the duck army’s handlers shepherd the flock out of the estate’s pond, where they parade around the vineyard, eating snails and bugs during every patrol. Verenoegd’s 32-year use of waterfowl for pest control earned it a World Wildlife Fund biodiversity certification. It is also earning legions of local, regional and international visitors, including many families who stay for a meal and a bottle of wine (or three). According to the Wall Street Journal, The Duck Parade marketing campaign has doubled Vergenoegd’s sales over the past year. 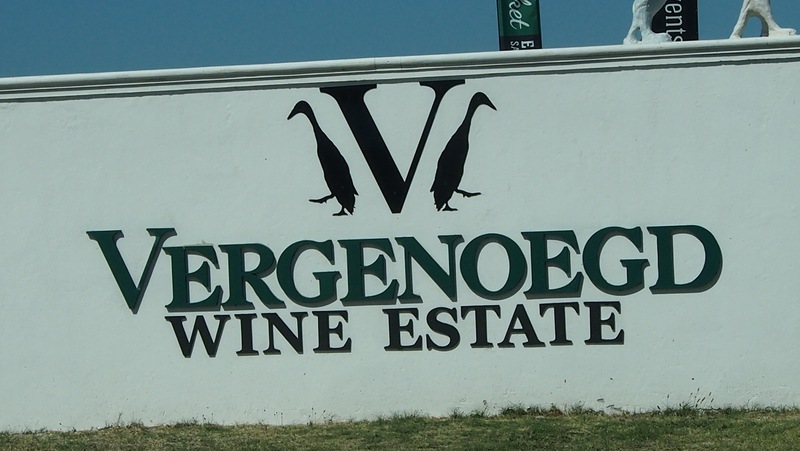 Heritage, sustainability and community: Verengoegd Wine Estate fires at many levels. What elements will inspire your organization’s PR and marketing programs? Drawing upon her 25+ years’ PR and marketing communications experience in health care, senior living and home care, education, manufacturing and not-for-profit sectors, Jenny Smith founded Acuity Public Relations LLC in 2012. PR strategy, content development and marketing, media relations and event promotion are what she loves best. When she’s not serving clients, Jenny can be found digging in her garden, in a spinning or weights class, trying a new recipe, devouring a book or planning her next travel adventure.